Homes were evacuated as a wildfire spread close to their properties in Sutherland this evening. Firefighters are battling for the third day a huge blaze in “tinderbox” conditions near Durness. Six fire appliances have been sent with crews from Ullapool, Wick, Durness, Thurso, Bettyhill and Lochinver. Some owners had to leave their homes. 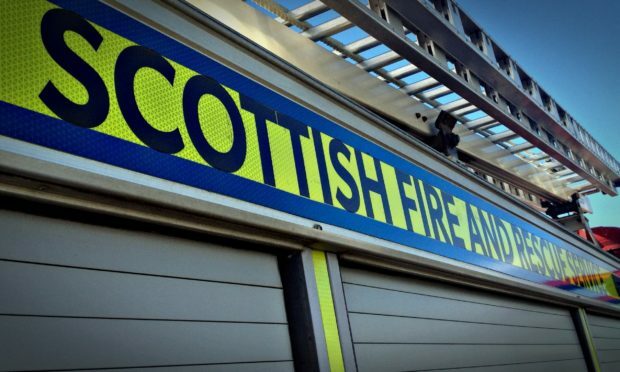 A spokesman for Police Scotland said other properties near Durness may have to be evacuated with the spread of the blaze. “It is still under consideration,” he said. A dozen properties near Sangomore had been most at risk, said local Highland Councillor Hugh Morrison, who owns the Smoo Cave Hotel. “The fire came within 30 yards of some of the homes – it was only the road that was between them and the blaze,” he said. “A number of people left because of the risk. There is smoke all over. “The problem is that the wind was so strong here today – up to 50mph. The ground has been so dry and there has been no way of stopping the fire. It is like a tinderbox. Exhausted crews only first left the scene at around 6am on Sunday after a 20-hour battle. But they returned at about noon on Sunday after the blaze re-ignited across a near two mile front and have been back since.